Fusion Garage website goes down, is the company going down too? Fusion Garage, the company behind the Grid10 tablet (a runner-up to our pick for the worst tablet of the year), Grid4 phone and most notably a new take on Android skinning, could be going the way of the dodo soon. Engadget first mentioned that its website was down during the weekend with parts of it going back on Sunday, but it seems that the company itself is preparing to shut down operations. Why do we think so? Apart from the obviously slow sales of the Grid10 tablet and the lukewarm (if not cold) initial reviews of the device, Fusion Garage hasn’t replied to its own PR agency which said it will be forced to end relationships with the company. In addition, Fusion Garage’s lawfirm has also been reported to not have been paid for months. When it comes to the company’s website, it’s still a mixture of pictures and non-functional links, but at least the store is back. That doesn’t mean you can order something, though - when you try to place an order you get the following message: "We are running out of stock. Thank you." Now, with this in mind, question remains does someone really care? 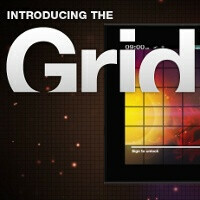 Did the Grid10 tablet and the Grid4 noticeable in the vast Android world? Let us know what you think about the Fusion Garage saga in the comments below. Poor poor Fusion Garage. Another OS bites the dust. It's a very cut throat market out there! Yep. In a market where even big manufacturers like Samsung and Motorola are struggling, this was a very risky attemptive.